During the 2017-18 program year, our congregation underwent a strategic planning process. After a detailed information gathering and feedback process, the plan was approved by the congregation at our annual congregational meeting on May 20, 2018. In the plan, three initiatives were identified as areas of focus for the next 3 to 5 years. 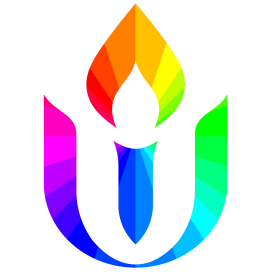 One, the Engaging Space initiative, calls for our congregation to begin a structured, thoughtful discernment process about our home and property. A discernment process is focused on sifting through all the different possibilities for our sacred space to find the ones that most fit our mission, vision, and future plans. A team of thoughtful congregation members will lead these discernment efforts. It is time to create this team and, following the recommendations in the Strategic Plan document, the board is employing best practices and consultant recommendations to constitute a Board task force, which we are calling the Engaging Space Task Force (ESTF). The task force will be comprised of people with the right mix of skills, knowledge, experience, and passion to lead the congregational discernment process, make a recommendation to the Board concerning any significant action related to our space requirements, and participate in education and possible vote by the congregation. The current plan is for the ESTF to consist of five members plus a liaison from the BUUF Board. If you want to be part of this important work on behalf of our congregation, bringing your skills, talents, and passion to serve on the Engaging Space Task Force, please read the ESTF responsibilities, timeline, and application process below and submit your application here by 31 October, 2018. The selection team (members of the Strategic Planning Task Force) will review the applications and interview applicants as necessary in person or by phone. The task force will gather information from all stakeholders about how we can best use/expand/modify our campus to meet anticipated growth and to explore how our campus can help foster our spiritual connections and justice making, maximize mission-related use of our facilities, including the Douglas Property; prepare for and accommodate expected membership growth; and plan to update/modernize our space to allow for technological upgrades and innovative use as outlined in Boise UU’s 2018 Strategic Plan. The ESTF will have the authority to engage the congregation in a discernment process and make recommendations to the board about next steps for any space expansions or modifications, based on the discernment process. The ESTF will provide regular reports to the board to keep them informed of progress in meeting the responsibilities of the task force. November – Selection team reviews applications and schedules interviews. Calendar Year 2019 – This task force will operate to complete the discernment process phase, collaborating with the congregation to create a recommended vision for addressing the mission-related development of our property. Early Spring 2020 -The task force will make a recommendation to the Board concerning any significant action related to the campus for the board’s consideration and be involved in board/congregation education prior to any vote at the end of the 2019/2020 program year. May 2020 and beyond – Depending on the outcome of the discernment process, it may be necessary to create new task forces with new charges. Although the charge to the task force ends approximately May, 2020, please consider if you would be willing to serve on future task forces or teams charged with implementing the potential decisions regarding our space needs. a member of the fellowship in good standing. available and willing to meet on a weekly basis (first meeting would be in January, 2019) during the initial phase of work which might be several months. Meeting frequency may change after that. Knowledge of groups within the fellowship and understanding of the BUUF Strategic Plan 2018 document. Ability to define issues related to overall building-related options, determine information required for decisions, and recommend direction to the board and the fellowship. Ability to understand and analyze financial and cost issues associated with possible solutions. Ability to communicate the complex issues involved in an understandable way to the fellowship. Listen and incorporate feedback from fellowship members into plans. Ability to keep an open mind as the information processing progresses. Ability to utilize various media to gather information, solicit feedback, and get the word out via blog, social media, etc. The discernment process in group decision making uses dialogue (as opposed to debate) in decision making. Information is gathered from multiple sources (documentation, congregational gatherings, etc.) and is used by the discerning team to provide helpful data. 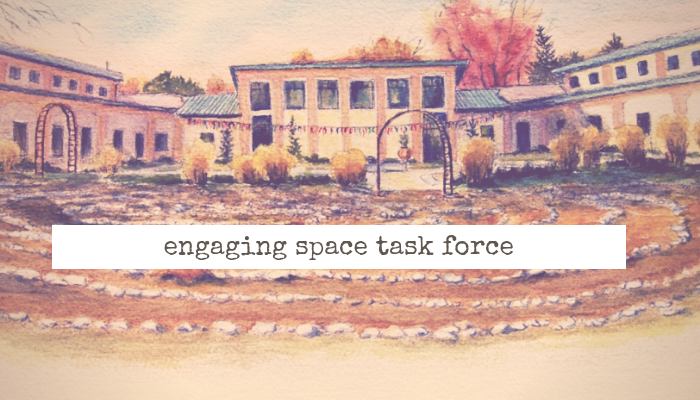 The Engaging Space Task Force will develop its own approach to the discernment process which could use a variety of methods from large congregational gatherings to visiting with separate committees, groups, and even curating focus groups.